The quotation marks give it away - I didn't compose that sentence, though I rather wish I had. It is the opening of Ravenna, a Study, by Edward Hutton, published in 1913. At various times we've made our way to Bologna in March to attend the annual children's book fair. We've mixed business with pleasure, and added on some holiday days to explore Bologna itself and nearby towns. We've always found Italian trains to be efficient, and compared with British Rail, relatively inexpensive. 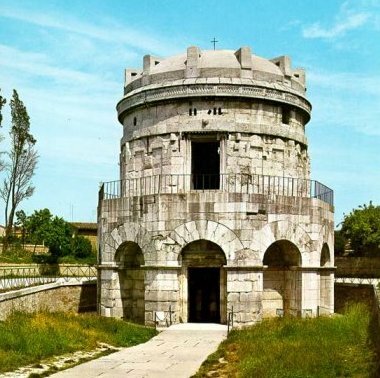 Parma and Modena both have lots to see, but the top destination for us is Ravenna, a train trip of around an hour and twenty minutes - that vast monotony of the Emilian plain is soon over. 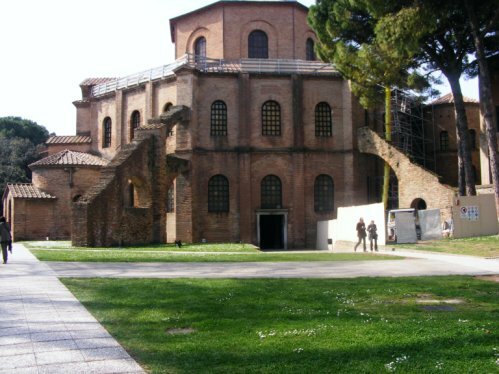 There are many wonderful places to visit in Ravenna, no longer half abandoned but a busy, bustling place. 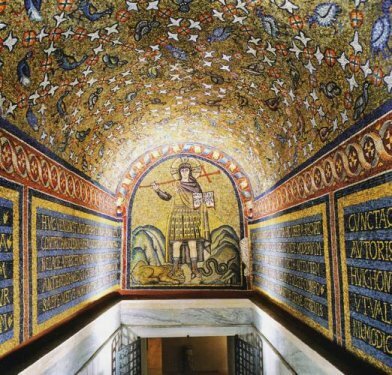 It is mosaic heaven for those that like them. (We do.) 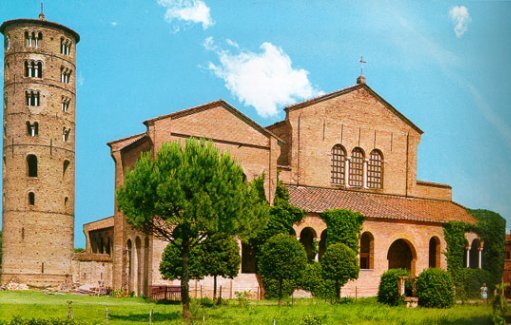 In the town itself don't miss the Basilica of San Vitale, the Basilica of Sant'Apollinare Nuovo, the Mausoleum of Galla Placidia, the two baptistries, and the Archiepiscopal Chapel. 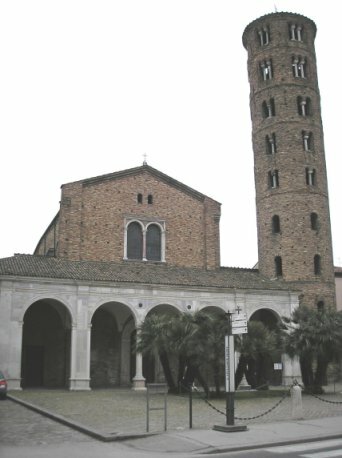 Just outside town are the Basilica of Sant'Apollinare in Classe and the Mausoleum of Theoderic. All these buildings date from the fifth and sixth century. 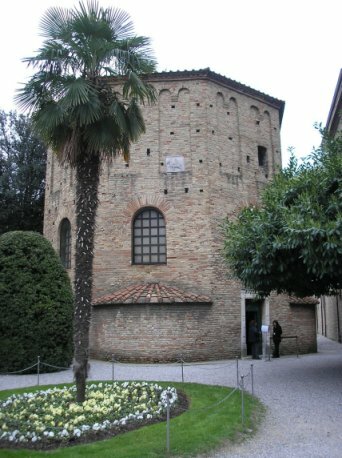 I'm not going to write about all of these places, but, to whet your appetite, and encourage you to take a trip to Ravenna, here are pictures of all of them. I'll start with a look at the Basilica of Sant'Apollinaire Nuovo.